As the owner of a building, security should always be one of your top concerns. 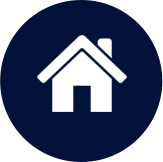 Keeping track of everyone who enters and leaves your property is essential for security as well as liability purposes. Implementing an access control system is invaluable for ensuring the safety of your property and the people coming and going from your building. 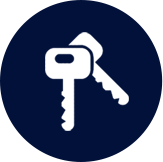 From master keys to access cards, there are numerous options for access control. Master keys are an affordable solution for keeping people out of restricted areas. If a key is lost or stolen, or if your staff changes, the core of the lock can easily be changed without the need for new keys to be made. If you own a retail establishment with expensive merchandise or you have private records to protect, an electromagnetic lock or an electric door strike may be a good choice. These systems restrict who can enter an area, but they allow them to exit freely. The most popular access control systems are those that require cards instead of keys. Card readers can be placed near any doorway, and there are several options to choose from to ensure the maximum benefit. From basic swipe readers to more intelligent systems that require additional verification, such as a PIN, carded access control systems are extremely versatile, and they provide numerous benefits for building owners. Unlike some other systems, carded systems can be integrated with the rest of your security system and even your time-keeping system. Card swipes can be logged, allowing you to know exactly who was where and when they were there. In addition to preventing people from accessing restricted areas, these systems can provide you with valuable information regarding who was present in a specific area in the event of a problem. There are several benefits to implementing an automated access control system. First and foremost, it allows you to control who can enter your building. In addition to choosing who is able to get in the front door, you can also restrict people who are allowed inside the building from certain areas. As a business owner, access control allows you to keep tabs on when your staff members arrive and leave each day. You can also keep track of exactly where they are in the building at any given time when access cards are required to enter different areas. Controlling where employees can go within your building can also enhance safety when you use the system to prevent people from entering potentially dangerous areas. By restricting access to areas where confidential information is stored, you can also improve security. Many access control systems rely on cards that can be activated and deactivated at any time. Unlike normal keys, they cannot be easily duplicated, and lost or stolen cards can be instantly deactivated to prevent unauthorized access. For landlords, automated access control is an invaluable tool for ensuring the security of tenants and their belongings. By requiring a card to enter the building, you drastically reduce the chance of unwanted individuals being able to enter the property. In addition to improving safety and security, implementing access control has a number of other benefits. For mid- to large-sized buildings, automated access control can greatly reduce security costs since, with access control, there is a decreased need for security guards on the payroll. In the event of an emergency, card-based access control systems can easily be programmed for a safety lockdown or lockout. Exits that are normally locked can also be immediately unlocked, allowing people to leave your building quickly in the event of a fire or similar situation. For many building owners, one of the biggest benefits of access control is peace of mind. With an effective access control system, you have complete who is able to enter and exit your building. You can also restrict who is able to access certain areas within the building, and you can easily keep track of who is where. The peace of mind afforded by this is simply priceless. 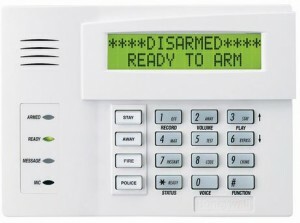 At Colorado Security Products, we offer fully customizable access control in Denver. We will work with you to determine the system that best suits your needs both now and in the future. For small businesses, we even offer systems that grow with you. We can start with a basic starter setup to protect just one or two doors and add more ad needed. We can also add a Network Communication Controller that will allow you to acquire PC-based networking that requires minimal PC support and maintenance. Security is our top concern at Colorado Security Products. When you need access control in Denver, give us a call at (303) 756-1000. We offer customized solutions for businesses of all sizes, and we would be happy to help you find the one that best suits your needs.